You must be on a cloud nine knowing you are about to spend the rest of your life with your significant other. Your wedding is a very special day. You get to invite all your closest friends to be part of the groom and bride party. Our Knoxville limo service will make sure that both wedding parties get transported from the prep location to the ceremony location. 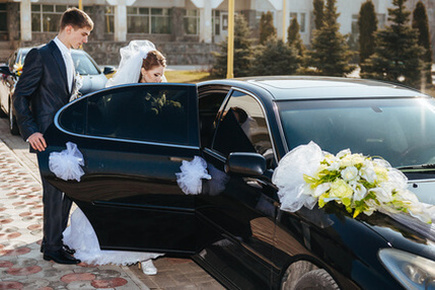 When you said you vows and kissed for the first time as a married couple, our limo will be ready to take you to your honeymoon. Fill out the form to the right and book a wedding rental from Knoxville TN. We can't wait to be a part of your special day.